Our story dates back to 2002, when Apostolos and Faye decided to share their positive energy and thinking, at a small bar in Chalandri, called think+. Years went by and hundreds of friends got a taste of the magic “broths” our two protagonists had to offer. Until 2016, when the plot takes a turn, yet, think+ never stops to share its positive thinking. 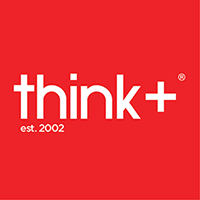 Today, in 2018, a new era begins for think+! This time, positive energy breaks into the world of fashion with a new clothing collection. Apostolοs along with a new companion George, are starting this journey together. The “recipe for success” remains the same. Giving all our love and care, and paying attention to every single detail from the choice of fabric and the design of the pattern, to the packaging and the prompt delivery of each garment, we guarantee that our new collection will fill you with… positive vibes. Discover the new collection on our website, as well as at (facebook.com/thinkpositive.gr) and instagram (instagram.com/thinkpositive.gr). A new, exciting journey into the fashion industry has just begun! Dear positive thinkers, you are welcome! Sign up and stay in touch with the latest trends and tips.